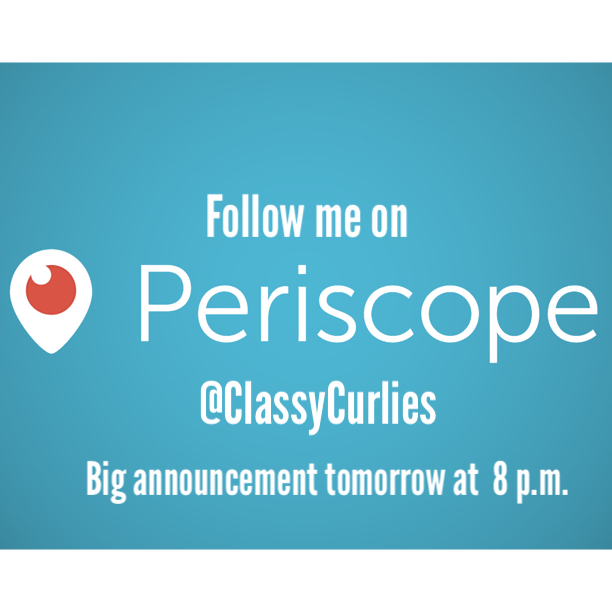 If you aren't aware, I'm delivering a BIG natural hair announcement tomorrow evening (Sept. 7) at 8 p.m. on Periscope! 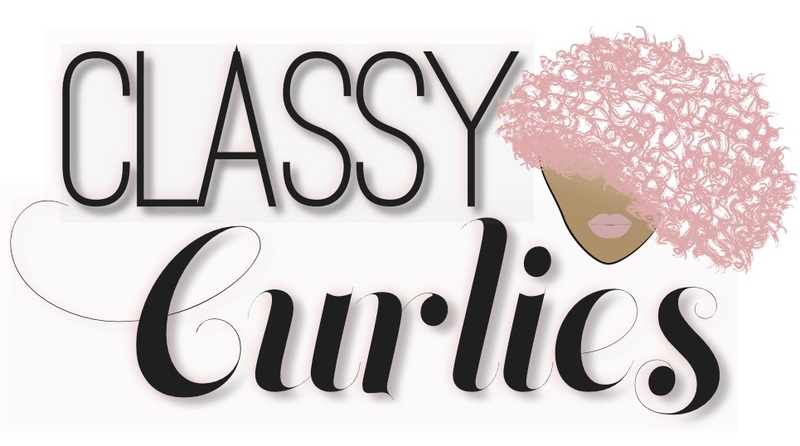 This is something I'm truly excited about and I want to share the good news with you all. 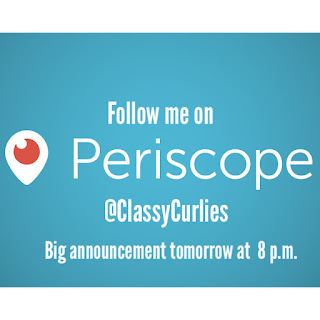 If you don't have a Periscope account, you may sign up using your Twitter Account. 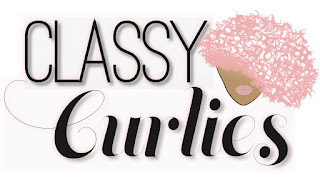 To view the announcement, you'll have to follow my account, @ClassyCurlies to get the latest details. I hope you all will join me tomorrow and send as many hearts (love) as you can! I'd truly appreciate the support.